It may be a first world problem, but for someone who styles herself The Bathtub Mermaid, it’s a personal tragedy: my bathtub is broken. Early last week I was taking a bath, and I overfilled the tub. When I pulled the drain plug to let some water out, instead of just the plug coming up, the whole drain came out of the tub. 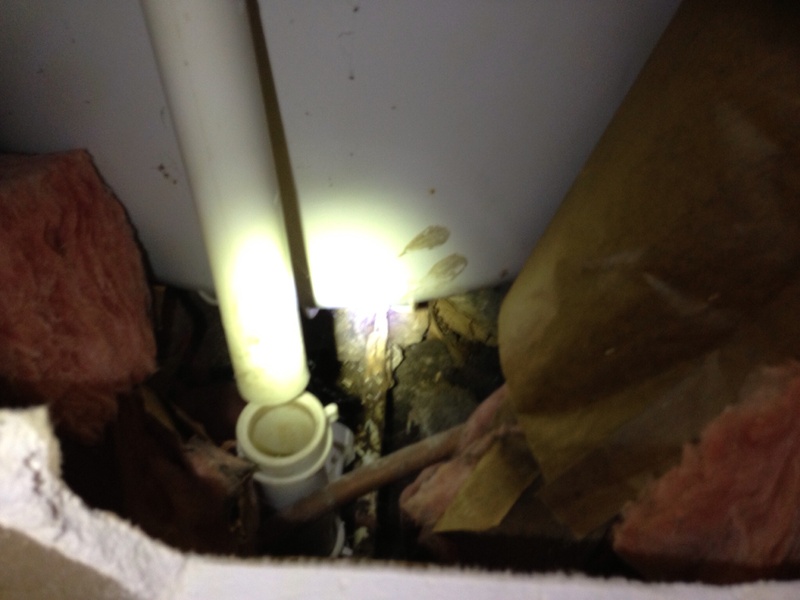 Upon investigation, we learned that the elbow joint meant to connect the drain to the drainpipe was on the ground under the tub. We called the home warranty company, and they sent a plumber who said we had to remove the ceramic tile step at the end of the tub. We tried, but there’s no way to do that without breaking into the actual floor. However, when we cut into the drywall half-wall at the back of the tub we saw that the pipe is NOT under the ceramic tile, but under the tub. So now we’re waiting for the plumber to come back. Meanwhile, there’s a gaping hole in the fake wall at the end of the tub (Fuzzy has put his dremel case in front of it, so a) I don’t have to see it and b) the dogs won’t explore it and c) no creepy-crawly things emerge from it) but I’ve clearly read too many Stephen King novels, because every time I see the expanse of exposed pipe, or catch a glimpse of the drain hole in my tub, in which the drain fixture currently is not, I keep thinking of Pennywise the Clown from It. We All Float Here by Melissa Bartell is licensed under a Creative Commons Attribution-NonCommercial-NoDerivatives 4.0 International License. A well done and fun telling of a unfortunate event. We had a flood when last month when I completely forgot I was filling the tub.